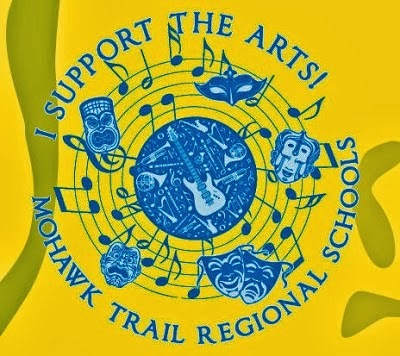 The next meeting of the Mohawk Music Association will be Tuesday, August 17 at 6:00 pm in the Mohawk school cafeteria. Agenda items include: updating the MMA bylaws, planning the Baked Potato fundraiser (Saturday, September 18 at the Colrain Village Fair). Ms. K. and volunteers have been hard at work in the Music Room this summer. The walls are getting a new coat of paint, and the trophys have been washed in preparation for display on soon-to-be installed shelves high on the back wall. Polished trophies waiting for the shelves. The major scale is being painted on the wall above the mirror. The next meeting of the Mohawk Music Association will be Tuesday, July 20 at 6:00 pm in the Mohawk school cafeteria. Agenda items include: an MMA inventory, updating our bylaws, working with Dorathea on a student policy/expectation handbook, and to start looking at the year's fundraising.